Condition is Used. Cabinet only, inside devices and hardware not included. HP 22U Server Rack Cabinet / H : 114cm / W : 61cm / L : 102.5cm. Condition is Used. Doors shut but no keys are available to lock it. Comes with a power bar and half-length shelf plus rack nuts and bolts. HP G2 42U Server Rack Cabinet Enclosure With 2 32amp HP PDUs. Condition is Used. Good condition, collection only due to size. Cash on collection only. Collection from Milton Keynes. 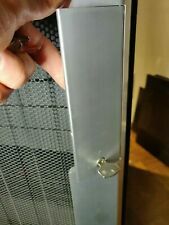 HP Proliant DL360p G8 1U Ball Bearing Type Server Rails (Inner/Outer) (Used). 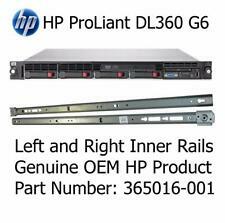 Rails For HP Proliant DL360p G8 1U (Inner / Outer) (Ball Bearing Type). Picture Shows 1 Of The Actual Pair Of Rails. Part Numbers Of Rails. 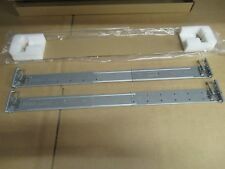 New HP Proliant S6500 4U Rackmount Rack Mount Rail kit. ProLiant S6500. ProLiant SL165s G7. ProLiant SL390s G7. New Sealed. About Hospiscare. We are an Exeter-based local, independent charity which provides high quality care and support to people with a progressive life-limiting illness and those close to them living in Exeter, East and Mid Devon. Part Number – AH166A 435248-001. 1 x HP 1/8 G2 Tape Autoloader Rack Kit. The 1U monitor/utility shelf is a fixed shelf that can be mounted at any height within Compaq racks to place a monitor or another componant. Warranty 1 year warranty service. Part No – BW946A 666405-001. 1 x HP 42U Location Discovery Services Module Kit for Server Cabinet. We will resolve the problem directly with you. actual item part number on the picture. Height (Rack Units): 2U. 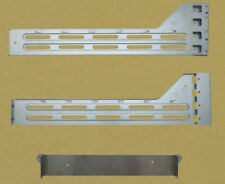 - Product Type: Rack rail kit. In this case, the Supplier will inform you of any delay as soon as possible and will give you the option of cancelling your order at this point. 651088-001 HP Gen8 3U-7U Rail Kit ML350e ML350p Gen8 667272-001. 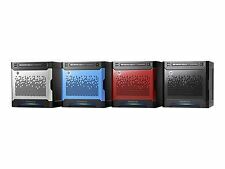 Serial numbers : All relevant serial numbers are logged in a data base, we also use warranty stickers where appropriate. These stickers are designed to break if removed or tampered with. NO SIDE PANELS. BACK DOORS OPEN. LCS Office Supplies. 1 x HP S10614 14U Server Rack Enclosure Cabinet. Server Rack can be collected from Walsall M6 Junction 10. Part Number –292302-B22. HPE G2 Basic PDUs provide a low-profile single-piece design for easy access to rear devices for maintenance. Vertical PDUs can be installed on either side of the rack with outlets facing back for easy access and improved clearance. We hope you will be very happy with your item. If there is an issue with your item and you believe it to be faulty we will help you as quickly as possible. Video Presentation Units. TFT Monitors. Tablet PC's. Rack is generally in good condition and has front and rear doors with 1 side. Collection is free. 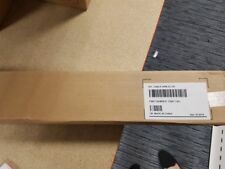 HPE 22U 600mm x 1075mm Advanced Shock Rack (H6J84A). Mfr code : H6J84A. All in one simple, universal rack for all your data center needs. Total Cabinet Area 43.64 x 44.30 x 23.54 in (110.84 x 112.52 x 59.78 cm). If you prefer to collect the item then this can be arranged and must be cash on collection. From a non smoking and pet free household. Pictures are of the actual item(s) you will receive unless otherwise stated. HP C2786-60005 dual rack mount cooling fan PanelArt.Nr: C2786-60005 #R. The symbol of the crossed out wheeled bin indicates that the battery should not be treated as household waste. Pb = battery contains more than 0,004 mass percent lead. DL560 Gen8 LFF. DL380e Gen8 LFF. DL380p Gen8 LFF. DL385p Gen8 LFF. (Left & Right Rails With Inner & Outer Rails). Full kit which includes the parts the attach to the side of the server and the parts that fix in the rack. 1 x HP 10642 G2 42U Server Rack Cabinet with Front & Back Doors. 10642 Rack Physical Characteristics. Server Rack can be collected from Walsall M6 Junction 10. One rack key provided. Part No – AR8126ABLK. Rack Height 1U. 10622 Rack Physical Characteristics. Server Rack can be collected from Walsall M6 Junction 10. One rack key provided. HP Part/Model:AF009A. Manufacturer Part Number: AF009A. HP 10000 G2 series Racks. Height (Rack Units): 42U. Product Type: Door Panel. General Information. 1 x HP ML310/330 Tower to Rack Shelf Kit. 1 x HP Rackmount Rails For DL360 G4/5 G5/6 G7 364996-001 365002-002 364998-001. Full kit which includes the parts the attach to the side of the server and the parts that fix in the rack. ADH 172233 (-25). Retractable rail kit, allows your server to be slide in and out of the rack. 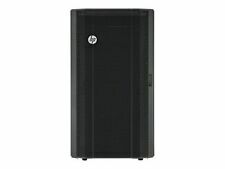 HP Storageworks 41U Cabinet Server Enclosure. Cabinet Capacity: 41U. In good condition, sides, front and back doors included. MINOR DENT AT TOP OF BACK DOOR. 79" Height. HP P/N: H6J65A. All in one simple, universal rack for all your data center needs. HPE Advanced Series Racks are covered by a standard 3-year warranty. Rack capacity: 42U. Rack height: 42U. An extensive range of rack, power, and KVM products to outfit your rack. 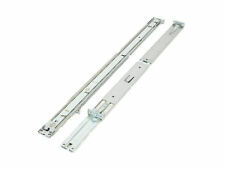 HP DL580 Gen8 Ball Bearing Rack Rail Kit. Compatible with HP DL580 Gen8 Rack Server. Grab yourself a bargain! Does not include inner rails. 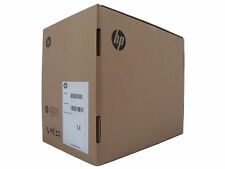 HP Part Number: 734540-001. And many more. Fibre/SCSI HBA Cards. 10647 G2 Rack (47U). HP sets the new standard for performance and value in the enterprise with the new 10000 G2 Series Rack family. It supports both side to side air flow as well as front to back air flow. Maximum weight capacity 2.15 kg. Part number for item HP StorageWorks 1/8 (G2) Tape Autoloader Rack Kit. Images shown are for demonstration purposes. Great unit , small wear and tear on wheels, no keys but doors open. Built in large fan unit and some port's left in.